Digital video has become more important for news outlets in recent years, but there's still no exact recipe for what works and what doesn't in terms of format and storytelling styles. At CNN, being successful in digital video is closely tied to producing unique stories, but this type of content is still "a brave new world" with a lot of freedom to experiment, according to London bureau chief Tommy Evans. "I've been surprised at how much stuff we originally conceptualised for digital actually ends up on air as well," he told Journalism.co.uk. "If it's a good story, then it will transcend platforms and it works in multiple places." But while certain video packages can work well on multiple platforms, like a piece from the scene of a story for example, there needs to be a sense of "added value" for digital video, he explained. CNN International Digital supervising producer Ryan Smith talked through some of the formats CNN has been using for digital video and why they were chosen, speaking at series of masterclasses as part of the CNN Journalist Awards this week. One of the key differences between digital video and TV is the speed at which information can be updated. 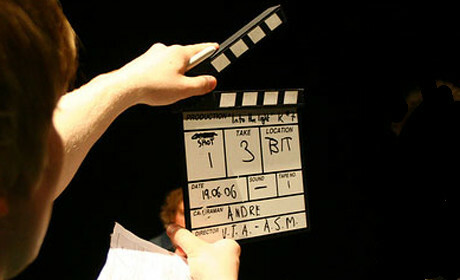 Producing online video in the style of rolling broadcasting news is harder to manage than providing updates on a fast-moving story through text. "We try to add wider context and produce videos that will still be up to date within 24 hours," he said. "We tend to find that the stories sometimes change so quickly that by the time we can update the video content the story has changed again." For this reason, explainer videos are a popular format for CNN.com, and they can also be reused whenever a related story breaks or there are new updates to cover. Another video style CNN has been using online is a text and picture heavy format, but without a voice over or an anchor, like in this video about Richard III. These videos can be watched and understood on desktop and especially on mobile devices even with the sound still off. And for stories where images from the scene can be too graphic or "hard to digest", CNN has been using illustrations to break down the elements of a story. One example is an animation looking at the Ebola virus, where "everything that you got from the field was very moving and very difficult to watch", said Smith. But these animations take longer to produce. The Ebola video took about a week and a half and was commissioned as "we knew that the story wasn't going away". So is there room for reactive videos when a story breaks? CNN also creates videos for stories that are trending online, with a format that can be turned around in around an hour and a half, said Smith, "to capitalise on the spike" in traffic. Constantly monitoring analytics offers an opportunity to see which stories the audience has a "huge appetite" for, and to offer a video perspective. These videos can also make the jump from online to TV, such as this video of the discovery of a World War II sunken battleship. "Everything on digital has to be compelling," said Evans, "and it can be 90 seconds or it can be 90 minutes – if it's good, compelling storytelling people will watch online."